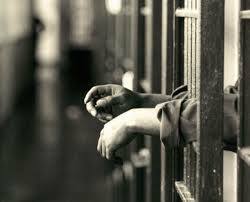 Serving prisoner jailed 170 years for defrauding bank manager – Royal Times of Nigeria. Justice Lateefat Okunnu of a Lagos State High Court, Ikeja, on Tuesday sentenced a serving prisoner, Ikechuwu Ogbu, to another 170 years imprisonment for defrauding a bank manager of N12.3 million. However, he will spent 18 years in prison as the sentences will run concurrently. Ogbu was arraigned on 10- count charge of obtaining money by false pretenses and stealing alongside his co- defendant, Ibebugbu Chuks, by Economic and Financial Crimes Commissions (EFCC). The EFCC said the defendants orchestrated and defrauded a branch Manager of Bank PHB now Keystone Bank, Mr. Patrick Edet Chukwu of N12.3 million under false pretences from inside Kirikiri Maximum Prison while serving jail term for another fraud related offence. The defendants when arraigned on June 10, 2011 had pleaded not guilty to the charges preferred against them by the commission. Delivering judgment on the matter on Tuesday, Justice Okunnu found Ogbu guilty of all the charges against him. The judge discharged the second defendant, Chuks of the offences, saying the prosecutor failed to prove the charges beyond reasonable doubt. She said there was nothing to show that the second defendant knew anything about the money sent to his account. “I am of a view that the prosecution failed to prove his case against the second defendant because there was no direct evidence against him,” the judge held.